Since the arrival of the first settlers in 1877, the Rural Municipality of La Broquerie has fully capitalized on its strengths: a diversified agricultural sector as well as the forestry resources of the southeastern region of Manitoba. Located 12 kilometres from Steinbach and 70 kilometres to the southeast of Winnipeg, the Rural Municipality of La Broquerie is an important pork-producing region as well as beef and poultry. 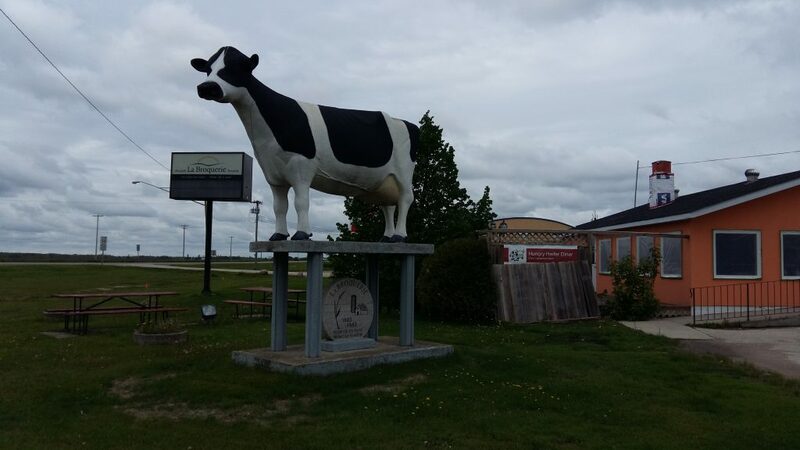 It is also one of Manitoba’s largest dairy farm regions, with approximately three dozen dairy farms. La Broquerie has also taken advantage of its forestry industry, mineral water sources and for the last several years has increasingly focused on developing a vibrant local tourism industry. With a population of 900 residents, the town of La Broquerie is the main area of settlement within the limits of the municipality. It offers all the essential services, including water, sewers, garbage disposal as well as firefighting services. Local businesses are active in all sectors of the economy, from the transport industry to that of restaurants and hospitality establishments. La Broquerie has two schools: a French-language school from kindergarten to grade 12, and an English-language one from kindergarten to grade 8. The local population ranks among the youngest on average in the entire province of Manitoba. The last decade or so has seen a redoubling of efforts towards the development of a strong, local tourist economy. With the opening of the La Vérendrye golf course, the annual St. Jean-Baptiste celebration in La Broquerie and Loggings Days in Marchand as well as a wide range of outdoor activities in the nearby Sandilands Provincial Park, the Rural Municipality of La Broquerie is fast becoming a year-round paradise for tourism and recreation.